I am so excited it is November, and I can start counting the sleeps until my sister arrives in South Africa from Sydney. It will have been exactly a year since she left when I go up to Johannesburg and in that time my niece, Sasha has learned to read and Nadia has started walking and talking. This is a busy month for me socially and I am not sure how many blog posts I am going to get done between now and the 28th! But, to kick start the month, here is what is new in my kitchen November 2012.
are leeks out of my garden. I used some last night to make asparagus soup and I shall be planting more as they grow so well. are ducks eggs – they are seasonal and I am getting mine straight from Vergenoegd where John uses ducks to clear his vineyards of snails. is a loaf of French Bread that I took with me when I went to cook with Sam. She styled all the photographs but this is one that I took with my camera. Sadly, that is it for this month! I have a few new things that I have not yet photographed and as the 1st kind of crept up and surprised me this is all that I have to share! We were away for the weekend and I have come home with a severe case of contact dermatitis. The last thing I can think of is my computer when I get home from work as I am on anti-histamines and cortisone and they really knock me out. Growing your own leeks is moreeeeeee than enough for a month!!! Well done. Loving those home grown leeks, Tandy. Sorry to hear about the skin problems. I’m about to see a specialist myself in the next week or so… have waited months to get in. Such a nuisance and so uncomfortable too. Get well soon. Good luck with your eczema Tandy! unfortunately, it takes time to cure it. You must be very excited to meet your sister again, last time I have met my sister was April, I will go back home (Rome) for Christmas. I have got a few leeks ready in the allotment and I’m planning a few recipes. I love this vegetable! Oh My i can only imagine how you looking forward to seeing your sister and neices–i see my sisters at least once a week and the neices 3-4 times a week. Hi Tandy – get better soon. I might grow some leeks if they are easy to grow. Celia loves her perennial leeks but we can’t get them in Perth so it will have to be ordinary leeks for me. They are a pleasure to grow, as they need no attention! A whole year away from your sister and nieces is a long time! I hope this month flies by for you! 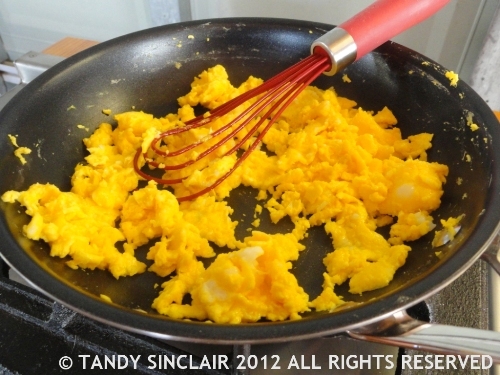 The duck eggs look so yellow- the yolks must be extra large! And your leeks are beautiful- I love leeks in soup and roasted in the oven slowly- yum. Thanks for sharing and have a great month! Oh Tandy,I’m so sorry to hear about the dermatitis. We have eczema here too in our family, and I know what a pain it can be. I hope you’re feeling better soon! How exciting, it will be so great to see your sister! I’m loving that loaf of bread too! I have never tried salted eggs before – maybe I should? Feel better soon. I know you must be so excited to see your family again…I can’ believe it has been a year since they left. 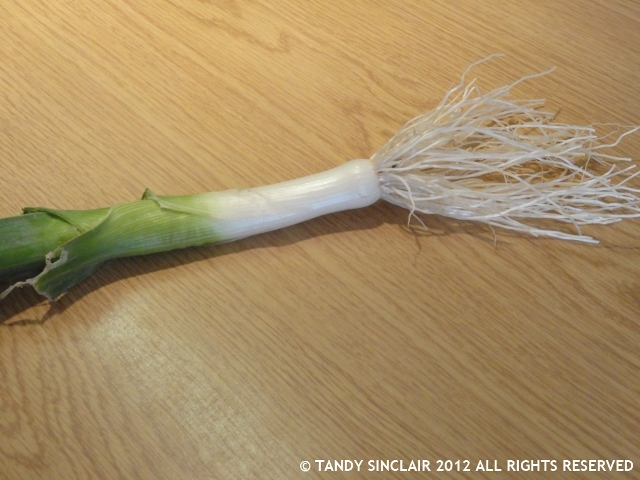 Home grown leeks – fantastic Tandy! They are so full of taste, as you know! How exciting for you to have your sister’s visit to look forward to, Tandy.Those leeks look wonderful, and I’m not even looking at the bread, in case the calories jump out at me. 🙂 Get well soon. It must be awful having this dermatitis. I just can’t imagine. Hugs and love to you. I’m well impressed by the leeks, Tandy! It looks to me as though you have a rather wonderful time ahead of you. Hope it’s everything you wish for. Have a great time with your sister. And get well soon! November is one of my favorite months! 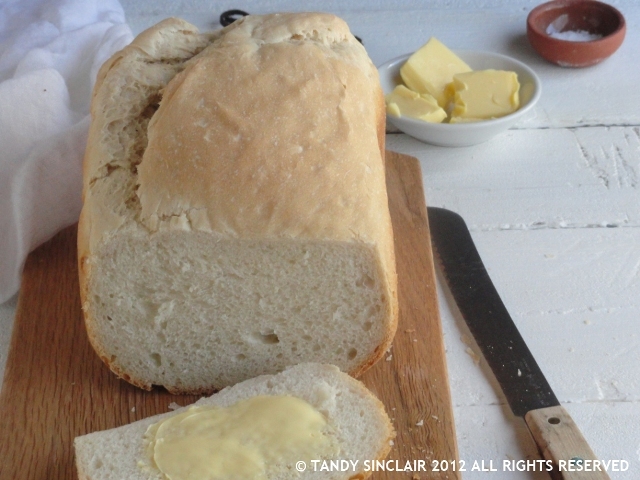 Love that loaf of bread you made. I hope that November is a great month for you! I hope you feel better soon my friend! Really hope you are feeling better soon Tandy. How lovely to be counting the sleeps before you see your sister and nieces again! Your leeks are perfect – should sell them to Woolies. Take care of yourself, Tandy. Those duck eggs look great. I have never seen or eat them before. How do they look and taste..similar to chicken eggs?